We know Frozen went through a number of visual and story developments before becoming the tale of two sisters we ultimately saw on the screen. One of those ideas that never came to fruition was a sassy, face-grabbing Snow Queen inspired by Bette Midler. 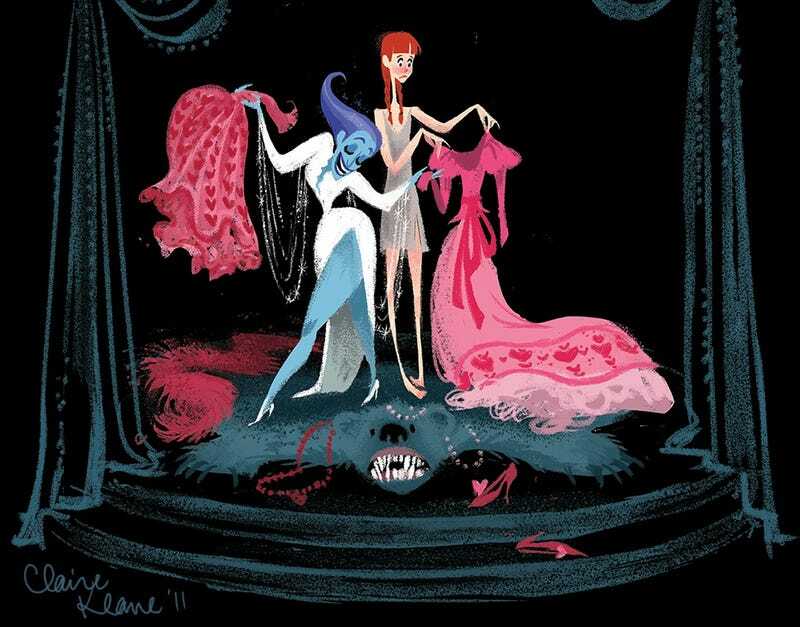 Claire Keane, a former Disney Animation artist who worked on both Tangled and Frozen, has been posting some of her exploratory visual development artwork from the film, including her Midler-inspired queen. It's interesting to see that as different as this Snow Queen is from Elsa, the Anna in these illustrations is not far of from the final version. As much I love Frozen the way it is, I now desperately want to see an animated version of this particular Snow Queen belting out a musical number. You can see more from this series (as well as an Amy Winehouse-inspired Elsa) on Keane's website.